Inspired by where it gets it name, Ibiza Beach Club of the Mövenpick Hotel Mactan Island Cebu, the premier party destination in the historic resort city of Lapu-Lapu, brings Electro Island Beach Party on October 3, 2015, Saturday from 3:00 PM to 10:30 PM featuring the dance music by Japanese DJs Daiki, Kamiyama Seigo, Tora, Toshiki, Red Bully, Hiroro and Future Boyz. Ibiza Beach Club, a trailblazer on trends, performance genres and flavours, aims to bring in new excitement in various seasons to delight its guests of different nationalities. Their most recent party last February drew at least 1,200 guests. 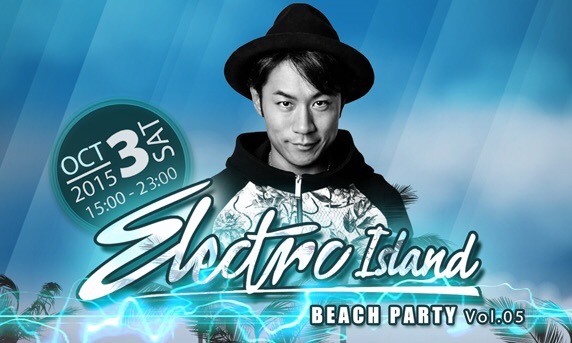 The Beach Party Series is top-billed by renowned DJ, Daiki Wakabayashi, and other celebrated Japanese artists. “Electro Island Beach Party,” is in collaboration with Cebu.20z. It will showcase high octane beats and mixes by DJ Daiki, Kamiyama Seigo, Tora, Toshiki, Red Bully and Hiroro and Future Boyz. Open bar free flow on selected drinks will start at 4:00 PM to 6:00 PM. Tickets are sold at the door at PHP 1,500 (nett) per person, or purchase in advance to enjoy an early bird price of PHP 1,000 (nett). For reservations and enquiries, call 0917-6237092 or 492-7777.